Mister Rogers has been thinking about music and arrives with a pitch pipe to demonstrate for viewers. Leaving the television house through the "fourth wall," he introduces the studio musicians -- Johnny Costa, Carl McVicker, and Bob Rawsthorne. 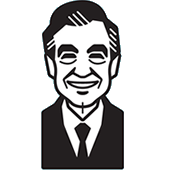 Each musician plays their part of Won't You Be My Neighbor before they all join together to play the song as it sounds during the show's introduction. Returning to the porch, Mister Rogers starts his television visit again but has his singing interrupted by a phone call from Joe Negri. Mr. Negri stops by the house with a young friend, Niki Hoeller. Niki is a six-year-old pianist who performs two classical pieces using Mister Rogers' piano. In the Neighborhood of Make-Believe, King Friday plays the bass violin as Handyman Negri plays the guitar. During their duet, Miss Paulificate does a short tap dance before she presents a message to King Friday. The letter informs the King that Neighbor Aber will be visiting with a suggestion from Mayor Maggie. Neighbor Aber arrives and mentions that Mayor Maggie would like to plan a festival to bring all neighborhoods together. King Friday's idea is to have a bass violin festival but unfortunately, he is the only one who can play that particular instrument. Before they leave, Miss Paulificate and Neighbor Aber share a dance leaving Handyman Negri alone at the castle. Lady Elaine approaches him with her new "bass violin" -- an accordian shaped in the image of a bass violin. Back at the house, Mister Rogers sings Did You Know before Mr. McFeely delivers a magnetic board showing a blank music staff. Mister Rogers sticks a few notes on the board and plays them on the piano. Special thanks to Glesner Piano and Organ Company, Inc.